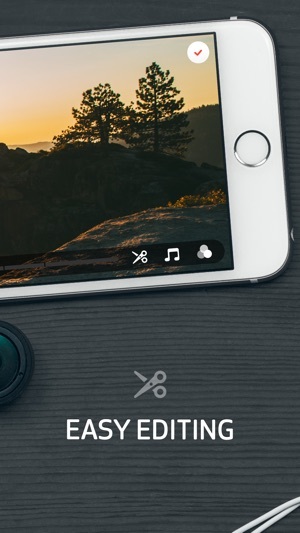 Easily edit and share cinematic videos on your phone with our award-winning (and free!) video editing app for iOS. 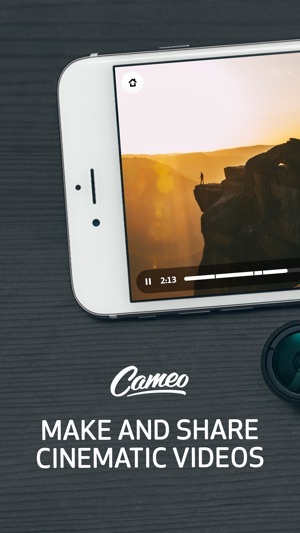 The Cameo video editor lets you combine clips from your Camera Roll to edit, trim and splice in just a few swipes. 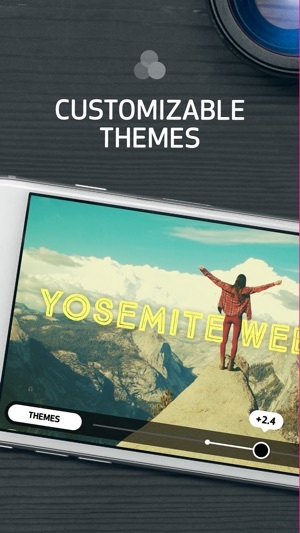 Add a professional sheen with high quality video filters, themes and the perfect soundtrack that fits your vibe. Showcase your videos in Vimeo's gorgeous ad-free HD player, then share them anywhere on the web with just a tap. Download the free app now, and unleash those creative juices. + Powerful yet easy-to-use video editing tools. + Share your videos on Vimeo, Facebook, Tumblr, and Twitter, store them in the cloud, or save them on your phone. + Create beautiful, cinematic video edits for Instagram and Vine! + Not just your average video filter: choose from a collection of high-quality themes and effects that make your movie look incredible. + The new music video editor: add soundtracks from our carefully curated catalog of free tunes by talented artists. 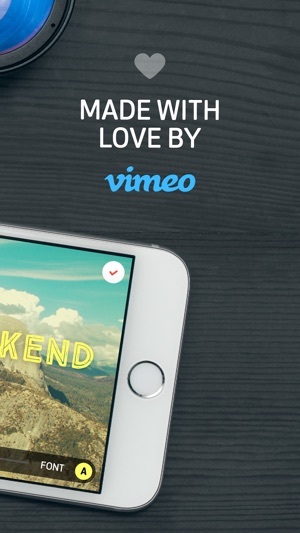 + Showcase your videos in Vimeo's gorgeous, ad-free, HD player. Cameo Video Editor and Movie Maker was named Editors Pick and Best of the App Store! "The best video editor I've ever seen on a phone"
"Makes the perfect movie recaps of all my vacations"
"Creative little app! I'm shooting more videos than I ever did before!" "Cameo is a great way to edit and polish videos for Instagram"
"My kids are the stars of their own action and adventure movies! Weekends are a lot more exciting now"
"Beautiful app, the tools and features are so easy to use." Your experience is our #1 priority. 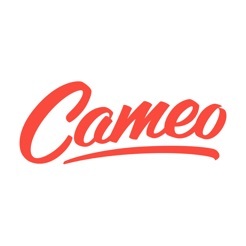 If you have any questions or issues, please email us at cameohelp@vimeo.com. We're here to help however we can. This just in: Cameo and iOS 10 are in love and we fixed a couple bugs. Now stop reading this, and go make and share some videos! I've been using this app since the 1.0 version. I love it but since they eliminate the social network aspect of it, the 2.0 version is basically compete ting directly with other popular video editing app such as iMovie and Clips apps. The app itself is so easy to use and it has beautiful filters you can use. The only problem I have is that you are limited to their music library. 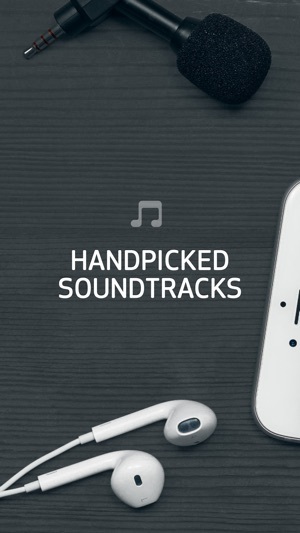 You cannot use your own soundtrack. And the audio customization is quite limited. Nevertheless, it is a great app for making short videos on the fly. Great - but needs updating! It's a great app! I tell many people about it that have busy mom lives and probably don't do family videos for the mere fact that it's hard to find time. BUT there's a few things that make it difficult! Hoping they can fix them. Like not being able to import your own MP3 file. Or seeing how long each song is just from the thumbnail. Or being able to have more than one song for the longer videos. And if we are going to continue with the songs from their choosing, can you add more, more often? !